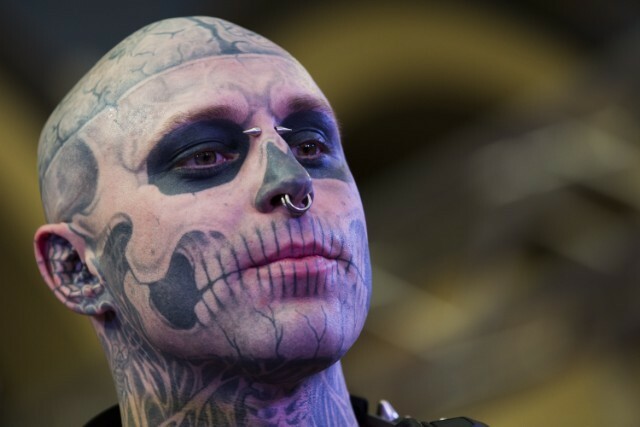 Lady Gaga’s friend and muse Zombie Boy, real name Rick Genest, died last week at the age of 32. The Canadian artist and model fell from a fourth floor balcony. Genest’s family believes it was an accident, but others — including Lady Gaga — suggested suicide. In 2011, Genest appeared in Lady Gaga’s music video for “Born This Way,” which jump-started a high-profile modeling career. He also held the Guinness World Record for most insect tattoos. Before his death, he had reportedly been working on an album with ex-Rob Zombie guitarist Mike Riggs.